When the original frame school burned, this replacement school opened in 1933. It contained many modern improvements other schools in the area did not possess: a furnace (not a stove) for heat, indoor toilet facilities, and brick construction. Originally located on the southeast corner of Schoolhouse Road and the Lincoln Highway, it was moved across the highway and restored to its 1933 appearance. 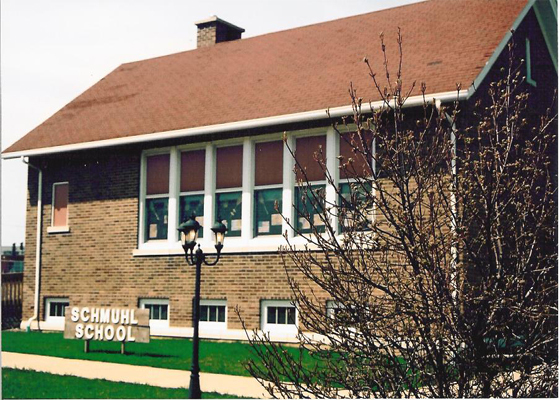 Through a grassroots, community effort the school was saved from destruction and now serves as a learning experience for area school children who learn about life in a one-room school and what school children did in 1933. Named an Official Will County Landmark in 2002. Located in the Hickory Creek Preserve, Barrens Access, Forest Preserve District of Will County, Schoolhouse Road at the Lincoln Highway.